Sublime bassinet with its double petticoat for a vintage rendering. 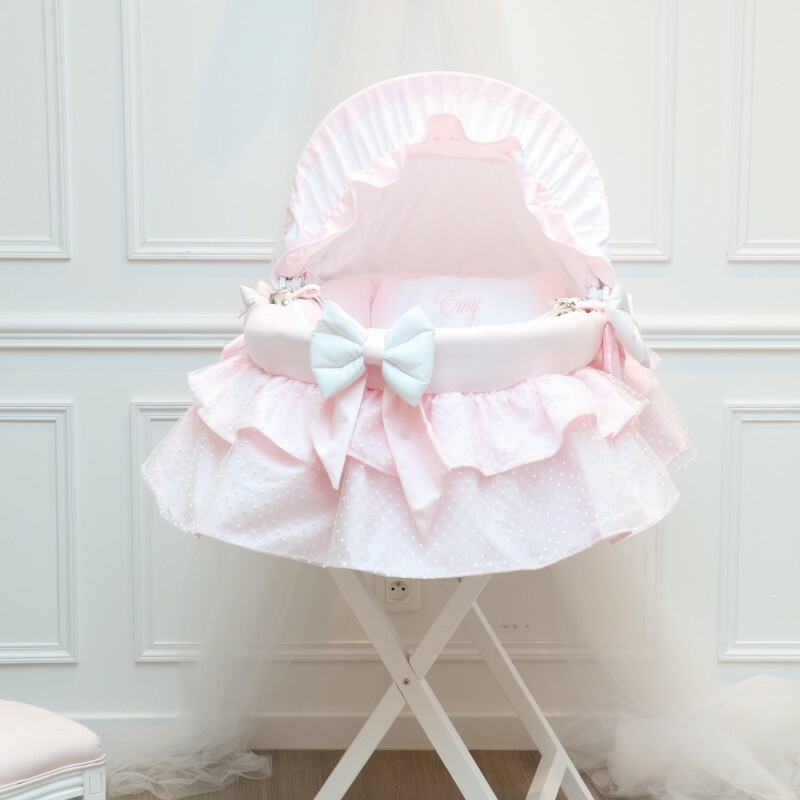 Bassinet from birth to 9 kg, english embroidery, 100% cotton fabric. Double upskirts for a vintage and classic rendering. Top range details and finishes. Removable hood, machine washable at 30°. Made in France in our Cocon d'Amour workshops, with love and passion.